Townsville City Council recognises the significant value of young people and their contributions to the community by providing a range of youth services, low cost facilities and a comprehensive holiday program guide during the summer and winter months. 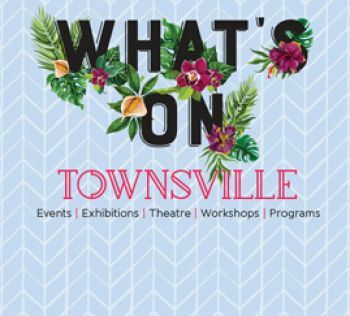 Council, through it's grants program, assists community groups in providing opportunities, effective youth services and projects throughout the Townsville region. Townsville Youth Council and Townsville City Council invite you to apply for the Townsville Youth Music Competition 2019. The Music Competition is open to all young people aged between 12 and 25 years. To celebrate the success of National Youth Week and Create Your Youth Week,Council has commissioned a short film documenting the young people behind the events. To view the film, click on the below image. The Townsville Youth Council is now recruiting. If you are aged between 12-25, living in Townsville, and have an interest in youth-related issues, you can apply to become a member. The application process can be completed online! Establishing and supporting a channel for young people to provide feedback, communication, information, and innovation to Townsville City Council, other levels of government, and the community. Identifying key issues relating to young people in the Townsville area and actively participating in strategies to address these. Raising the profile of young people in Townsville and promoting their contribution to community life. Maintaining an inclusive and representative membership of the TYC which encourages and supports participation of young people from a broad range of life experiences and future aspirations. Providing the opportunity for young people to experience civic decision making processes and supporting their own active participation in these processes. TYC members are appointed to be a part of an advisory, consultative, and action group within the Townsville region. There is no set timeframe for membership. Members are able to commit to TYC for a timeframe that suits them. This allows consistency in involvement and progress of TYC actions plus recognises members who wish to commit to long-term involvement with TYC. Who can apply to join the Townsville Youth Council? If you live in Townsville, are between the ages of 12 to 25 years old, passionate about improving the quality of youth life in Townsville, can attend fortnightly Tuesday meetings from 5pm to 7pm and enjoy engaging with and sharing great ideas with other like-minded young people, then you are a sure candidate for membership in the Youth Council. For your membership application, contact the Community Development Officer on 13 48 10 or email us. If you would like to be kept up to date on Townsville Youth Council information, projects and activities please email us and ask to be added to the Townsville Youth Council emailing list. The fun factor and the challenge! We aim to have a diverse group of young people involved in the Townsville Youth Council. Members will be selected on their ability to identify current and emerging youth issues and communicate between Youth Council and the wider community. For further information contact council's Community Development Officer 13 48 10 or email us.